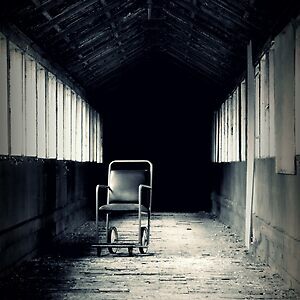 The winner of the Haunting Places challenge is Josephine Pugh‘s “Empty ~ West Park Asylum”. A very powerful, sombre and indeed haunting image. Minimalist in composition, subdued in tone, but rough and tactile in texture – very effective! If you saw Before Sunrise, that ever so romantic movie, you’ll probably remember a scene with a street poet. He asks the main characters for a word, instead of just money (watch the scene, it’s much better than me describing it), so that he could write a poem for them with that word. A few weeks ago I asked some of my Facebook friends for the same kind of deal: give me a word, I’ll write you a poem, and if you feel like it contributes something to your life, you can give me something in return. So… give me a word, please! P.S. This will ultimately become a free e-book that I’ll upload in April. “This challenge is for artwork and photographs which pretty much only involve one colour, but we are not looking for black & white or grayscale photos or drawings here. It might be a monochrome photograph in the sense of being e.g. sepia, ambrotype, cyanotype, either originally or through a post-processing filter. Or it could be any sort of digital image which has been given a hue, colour cast or some kind of filter so that all the colour in the images consists of different shades of one colour. Or it might simply be that the subject matter of the photo, painting or drawing involves almost or completely one colour. Or it colour be any digital image which has been so reduced in saturation, brilliance or contrast that each shade barely differs from grey. I am taking the word ‘colour’ to mean not black or white. Black and white can be thought of as the darkest and lightest shade of any given colour. We have two winners for the “Monochrome, but not B&W” challenge: Berns, with A Blue Day, and Ivy Izzard, with The Web. This beautiful image of Oliva Beach, Valencia, Spain is a great example of how the use of one colour can give a calm and dreamlike overall quality to an image. The subtle variation in the blues of the distant mountains receding into the mist is perfectly complemented by the sharper light and dark contrast which captures the crispness of the waves so effectively. 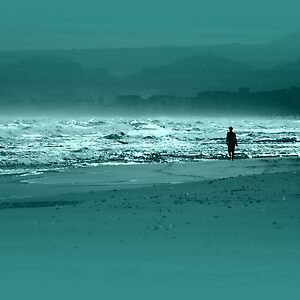 And the simple, silhouetted figure in the middle distance gives the image a story. 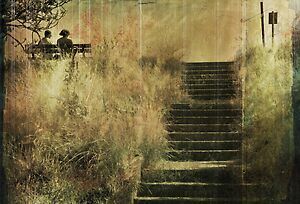 This is a lovely example of how choosing one narrow part of the colour spectrum and working with that can produce a stylish and evocative image. 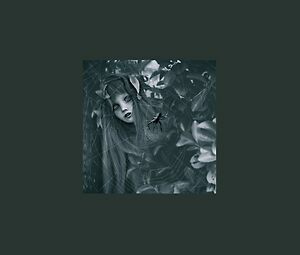 The masterful use of bluish greys for the soft but fine shading in this picture is part of what gives the image its mysterious feel, as the figure seems to be literally emerging from the foliage. I think this is a beautifully romantic and charming picture. Congratulations to both our winners, who are now featured members for a while! Have you ever heard the term foot loose and fancy free? In the older days it meant someone that could do whatever they wanted because they lack responsibilities. Responsibilities or not, these days it represents the feeling of embracing the moment and enjoying life as it is. Please submit your best work that gives the feeling of living it up, feeling free and fun. Trust – the feeling of knowing you can rely on someone and having a feeling of security. Please enter your best work depicting trust. Let’s congratulate Lynnette Shelley for winning this challenge with her work The Union. 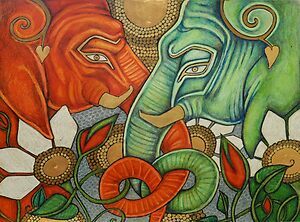 Two elephants entwine trunks in this mixed media artwork. I used complimentary colors on the two elephants to represent the union of opposition. 19×25 inches on pastel paper. I used oil pastels, colored pencils, liquid gold leaf, gold acrylics and marker. It was a game we used to play a lot when we were young. If we became annoyed at each other, instead of fighting we would simply switch roles. Astrid would bury her nose in a book, flick her hair behind her ear and begin every sentence with “Did you know”. I would prance around the house in what I considered Astrid’s “prissy” clothes and dance in front of every mirrored surface and bounce up and down on my toes until everyone’s attention was drawn to me. The original source of aggravation would be forgotten and we’d burst into giggles when our parents got us mixed up. We could mimic each other’s personalities so fluidly that with our identical appearances, it seemed to others that we had in fact truly switched roles. It stopped being a game and became more of a reality for me on the day Astrid’s physical presence was taken from this world. Astrid was at dance class, I was in the school auditorium running through a final rehearsal before our debate team faced off against a competing school when the storm broke. It was a freak event people would later say. Astrid had run outside to grab her water bottle from her knapsack only to be greeted by a bolt of lightning that almost seemed to have been waiting for her. The moment she fell, on the other side of town, I felt something inside me being torn viciously away. It was painful and terrifying, an agony I have never been adequately able to explain even to myself. The closest I could come was to imagine that someone had reached inside me and pulled my heart out with red hot, blunt, knife. I fell at the same time Astrid did; but unlike my sister, I got up again. I remember the sudden clarity I had in the moment the lightning struck. I knew exactly what I was losing and my mind had cried out, “God, no! I can’t live without her”. When I woke up I knew my wish had been granted. It was a strange feeling; instead of feeling like I had been torn into pieces, I now truly knew what it felt like to be whole. A complete person. Now, after I have finished delivering well thought out speeches in front of judges and juries I come home to twirl and dance in front of mirrored surfaces. I tend to bounce up and down on my toes as I read through case files, beginning me sentences with “Did you know” and making sure everyone’s attention was drawn to me. Twice, Astrid and I have been torn into two separate pieces. But now Astrid and I are what we were always meant to be. Far far away (though according to the whole complicated time-space continuum thing, also very very near), the youngest of the three fates waited. Around her in an eternal halo were the gossamer threads of creation. Most people believed she span these all by herself, and in truth maybe she did. It was hard to remember though. After the first trillion millennia the past became a bit vague. She wasn’t even sure where she herself came from. She suspected some deviant forerunner of white-anglo-saxonism – hence the eternal work ethic. It could just as easily have been a rogue Salamander from the pink ponds of Vermouthia. The present however, was constantly interesting. Sentient and self-aware, young Clotho The Maker was asquirm with sensation. And she had an idea. While browsing through the pages of contemporary earth blogs, Clotho had discovered a poem. The poem was about a thread. The injunction at the nub of the matter was to follow ones own. Like a camera lens stuck on wide, there was suddenly a sustained burst of illumination. Not godlike, but more of a laser beam. It struck Clotho in her fourth eye. With it came a realisation. 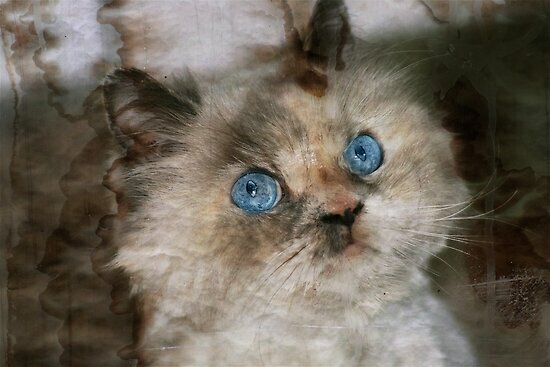 Of all the skeins of life-silk now shot through the pluriverse, not one of them was her own. She listened to her womb and knew. It was time to create herself. Dust motes floated past. Clotho could feel the prick and rasp of the rusty dumpster lid beneath her bare thighs. A few fetid odours mingled nearby and then dispersed. Born for the first time, confusion sparred with delight. It seemed as if many deep truths were absent here, and yet….the dimension of body now flooded into everything. She swung her legs to and fro, testing. “Waiting is painful. Forgetting is painful. But not knowing which to do is the worse kind of suffering.” Paulo Coelho This challenge was looking for the4 best works depicting the feeling of waiting. Congratulations to Cynthia Lund Torroll for her piece “She Waits”, which took first place in the challenge.